Jackie Biskupski is the first openly gay elected official in Utah. But her sexual orientation isn't what her critics want to talk about. Jackie Biskupski is the first openly gay elected official in Utah, one of the more socially conservative states. She was a state representative for 13 years before becoming mayor in 2015 of Salt Lake City, which is known for having a robust LGBTQ community. But while campaigning, her sexual orientation isn't what her critics wanted to talk about. "When I ran for mayor, being openly gay wasn’t really the issue. It was more about being a single mom and being a woman," Biskupski says. "Everyone would say, 'You should be at home with your son.'" That criticism didn’t stop Biskupski from winning. It did inspire her to start actively helping other women seek higher office through a statewide organization called Real Women Run. On this episode of "The 23%: Conversations With Women in Government," we talk to Biskupski about her challenging rise in politics and what she hopes to accomplish. She has spent the last three years fighting homelessness, domestic violence and climate change. She is moving Salt Lake toward a 100 percent renewable energy goal by 2032 and has helped around 100 other cities commit to and draft a similar plan. "If the United States is going to live up to the Paris Climate Agreement, mayors -- in a nonpartisan way -- are saying, 'Yes, we need to do our part in this world. And they are committing to doing that." Listen to her interview below or on iTunes, Google Podcasts or Stitcher. 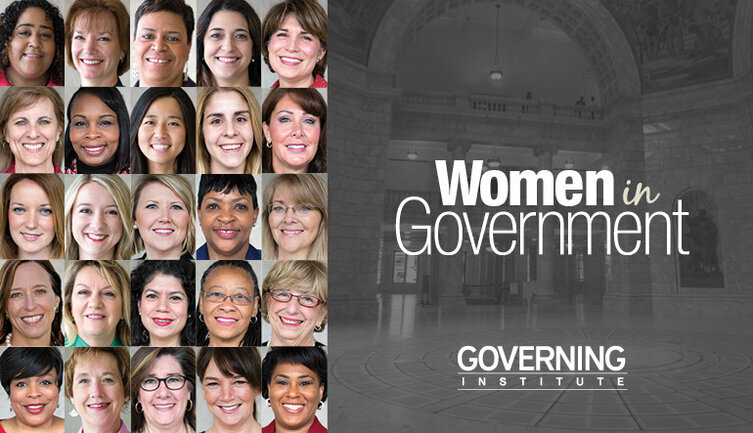 The 23% is brought to you by Governing's Women in Government Leadership program and its sponsors. In a new podcast interview, the former two-term Washington governor says the lack of women in public office is her "biggest pet peeve." There are certainly challenges, says Pennsylvania's physician general, but "eventually people will just judge us based off our qualifications and the work we do." As public works director for Phoenix, Ginger Spencer is trying to make her city the most sustainable in the world. Betty Yee has no small task. Evelyn Sanguinetti's career in politics all started with a bad fall. As the city's council president, Michelle Wu has shattered several glass ceilings.